So…the launch of GTA Online was a bit of a botch job, wasn’t it? I mean, for at least a week, players were effectively unable to do…well, pretty much anything. 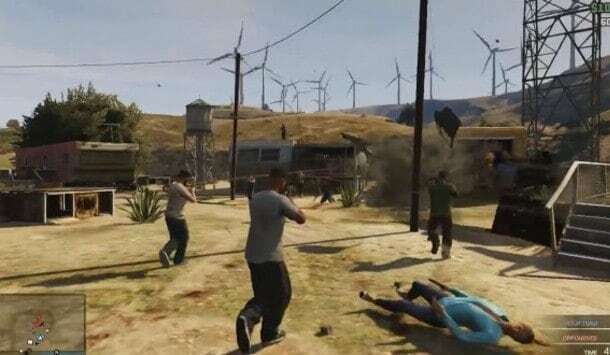 Rockstar’s servers effectively decided that they hated life, the universe, and everything equally, and passive-aggressively set out to force players into the most miserable experience of their lives. Rockstar messed up. Big. Credit where it’s due, though – they understand how to clean up a mess, and how to run an MMO, at least in the long run. There’s a lot of stuff they actually did right; Blizzard and EA could actually learn from their example. I can genuinely say this is something that neither Blizzard nor EA really did with their respective horribly botched launches. Rockstar was excellent at keeping its players up to date about the goings on with their game, and every time a new issue arose, they updated their site with information about it. More than that, they actually apologized for the launch issues, and took full responsibility. Plus, they were honest about what caused the problems: they simply never expected their game to be so popular. To be fair, EA did the same…but only after effectively lying to players about Sim City’s on-board DRM and failing to remain genuine about what was actually causing the poor launch. Rockstar’s PR department did its very best to respond to every single player complaint about the launch. They maintained an open dialogue with the players; something which far too many developers have failed to do. Further – and this next bit actually has nothing to do with the launch – the way they designed GTA Online was…well, it was pretty much what every GTA fan had been asking for since San Andreas included multiplayer. The folks at Rockstar have done what they can to quell the concerns of their players. That’s no mean feat, when you consider the fact that we’re basically living in a complaint culture: the moment something doesn’t work as intended, you’ve legions of angry customers bellowing ire from the rooftops. Even in light of this, they still managed to maintain their cool. I’m gonna say something here that’s probably going to piss a few people off: Rockstar doesn’t actually owe you anything. Grand Theft Auto Online is effectively a free add-on for Grand Theft Auto V, which is itself already being hailed as one of the best games ever made. In light of that, it’s actually pretty admirable that the studio’s taking steps to compensate everyone for their lost time and effort (even if it is the smart thing to do from a PR standpoint). Some of you may have heard that Rockstar is delaying the promised pay-outs of in-game cash to their players, the first of which was supposed to arrive this week. There’s a reason for that: they don’t want to throw money at the problem; they actually want to fix it. They’ve opted to delay payouts until all the bugs in the game are squashed, as I’m certain no one really wants to deal with losing their free cash before they actually get a chance to spend it. Alright. Time to step away from the launch for a bit, and have a look at the bigger picture. As I’m sure you’re all aware, hype can be one of the worst possible things to happen to a game. Everybody’s expectations for a title increase exponentially, until there’s no possible way for it to live up. Somehow, Rockstar managed to avoid this. Of course, it’s up in the air as to whether that speaks to the quality of the title or to Rockstar’s marketing department – I suspect it’s a little of both. 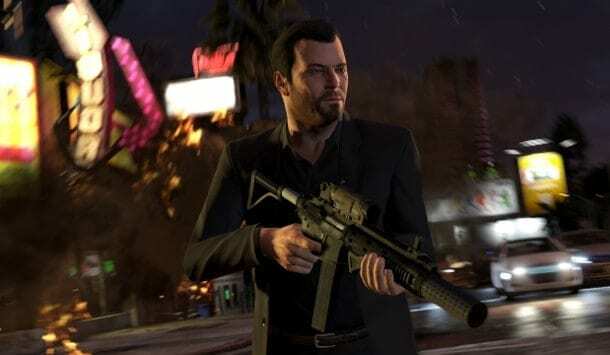 Although there are a few features linking the two,GTA Online is basically an entirely separate experience from GTA V. It’s also free to play – which is all-too-often a dirty word in gaming. I’m happy to report that most of what you can buy with in-game cash doesn’t really give you any unfair advantages over other players – it’s basically all cosmetic stuff. In other words, Rockstar did the job right. Even better, there’s no paid content to divide the player base. Players who’ve shelled out money for in-game cash aren’t separated in any way from those who haven’t. Missions can all be completed without having to pay a mint, and the playing field is effectively an even one. I’d say this one’s pretty self-explanatory. GTA Online is bundled with one of the most popular games ever released. That’s a sure recipe for success, no?